Uber is ending its effort to develop self-driving trucks, just two years after the controversial acquisition of the autonomous trucking unit that ensnared it in a high-profile legal war with Google and caused countless controversies for the ride-hailing company. Uber confirmed the news, first reported by TechCrunch, saying it will instead focus its efforts entirely on developing autonomous cars. “We recently took the important step of returning to public roads in Pittsburgh, and as we look to continue that momentum, we believe having our entire team’s energy and expertise focused on this effort is the best path forward,” Eric Meyhofer, head of Uber’s Advanced Technologies Group, said in a statement. The controversy over Uber’s self-driving truck program dates to early 2016, when it first acquired Otto, a startup created by former Google engineer Anthony Levandowski. The engineer was later accused in a lawsuit by Waymo, Google’s self-driving car unit, of stealing trade secrets before leaving the company to start Otto and join Uber. Uber and Waymo later agreed to settle the case for $245 million. Uber’s acquisition of Otto was initially pegged at around $680 million, but court documents later indicated it could’ve been as low as $220 million. Uber Freight, a unit of the company that aims to connect truck drivers to shipping companies in need, won’t be affected by the move. Uber’s self-driving efforts have continued to be fraught with controversy. Earlier this year, one of the company’s autonomous cars in Arizona struck and killed a pedestrian while operating in self-driving mode. A report later found the car and its safety driver had at least six seconds to respond and stop the car, but failed to act. Uber shuttered its self-driving car program temporarily in response, but the company says it has been rethinking its efforts ever since as it prepares to relaunch the autonomous driving program. The company said it first plans to bring self-driving cars back to public streets in Pittsburgh while operating in manual mode. Employees currently focused on self-driving trucks will be diverted to other ongoing autonomous car efforts. If a role that’s comparable isn’t available, Uber said it’ll offer relocation or a separation package. The company’s in-house development of LIDAR technology—hardware for a self-driving car that allows it to see the road—will continue, Uber said. All told, it brings to an unceremonious end a controversial aspect—and, yes, there are many—of Uber’s nine-year history. 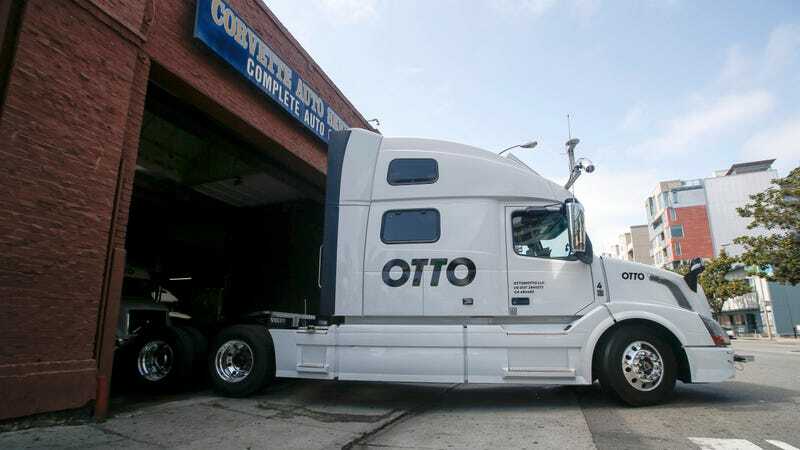 Levandowski is apparently, somehow, interested in getting involved with self-driving trucks again, and for everyone’s sake, I hope it’s not nearly as much of an issue as Otto.